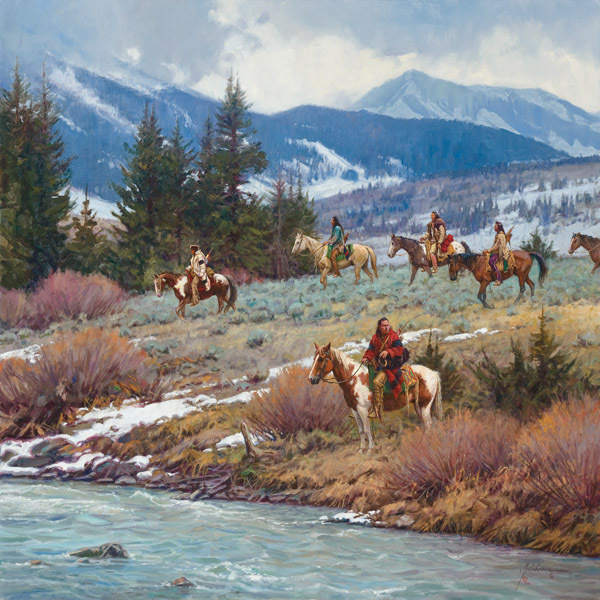 Martin Grelle paints beautiful, detailed stories of the Native American culture. As these braves make their way toward the swift-flowing river, one brave appears to stand sentinel. Perhaps he sees others of their tribe riding to join them or maybe intruders are near and the braves will have to defend their territory.